VP: Tell us how Lena of Vegitopia came to be? What was your inspiration? SS: I was pregnant with my daughter at the time and wanted to know if there were any good truly vegan-themed children’s books out there. After doing a search I found only a few veggie themed picture books for kids and of course Ruby Roth’s wonderful books. There were no vegan fairytales so I decided to write one! VP: How do you feel about the illustrations for the book by Carlos Patino? SS: I love Carlos’ style and was already a fan of his illustrations from Dave Loves Chickens. He was able to bring Lena of Vegitopia to life and give all of the characters a really unique, spunky look that is particularly appealing to young children. VP: What do you hope that this book accomplishes? How would you like your book to be used? SS: I really hope that the book fills a need a for vegan parents who are looking for picture books with story lines that communicate their ethics and values in a fun and engaging way. I believe that compassion for all living things, Lena’s bravery, and the effects of positive change are all messages that are communicated through the story. 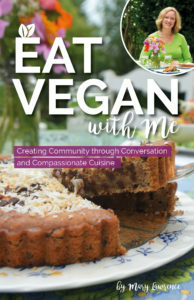 I hope parents will use this book as a tool to reinforce these messages or open up a discussion with their child/ren about the benefits of being vegan and how we can all affect change. VP: Why do you think it’s important to produce vegan-themed children’s books? SS: Kids learn in so many different ways but there is something special about the knowledge we gain from books as children. When kids are having fun, are engaged with and entertained by the material, knowledge is absorbed and good feelings are associated with the content even if they can’t grasp all of the concepts right away. That’s how a good picture book works- it’s both fun and educational. I don’t feel like there are enough books out there that educate kids about veganism in a way that they can relate to. 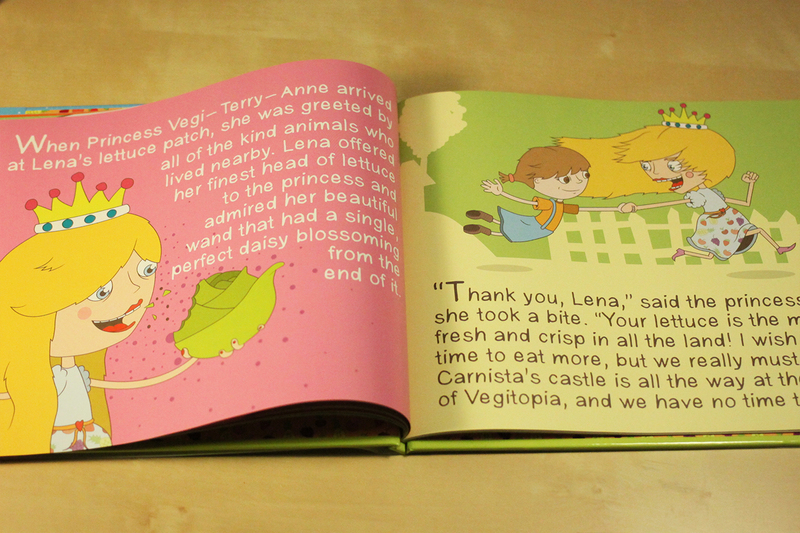 I hope more and more books for children with vegan themes will become available. I of course plan to stock my daughter’s library with them! VP: Your book has received glowing reviews thus far. However, what do you say to critics who didn’t like that the “villain” character, Carnista, is depicted as unattractive and perhaps a bit scary at first? SS: Honestly, it has a lot to do with my desire to keep to a fairytale “theme.” In fairytales there’s always a character that’s unsavory, just like there’s always a character that saves the day. I felt that one of the important themes of the book was the fact that Carnista ended up making a positive change to her life by deciding not to eat animals anymore so it was necessary to show how her “meaty” outlook on life was negatively impacting not only others around her but herself as well- including her own appearance. I mean, think about it- how would any of us look if we had a diet exclusively of animal meat? VP: Any plans for future books about Vegitopia? 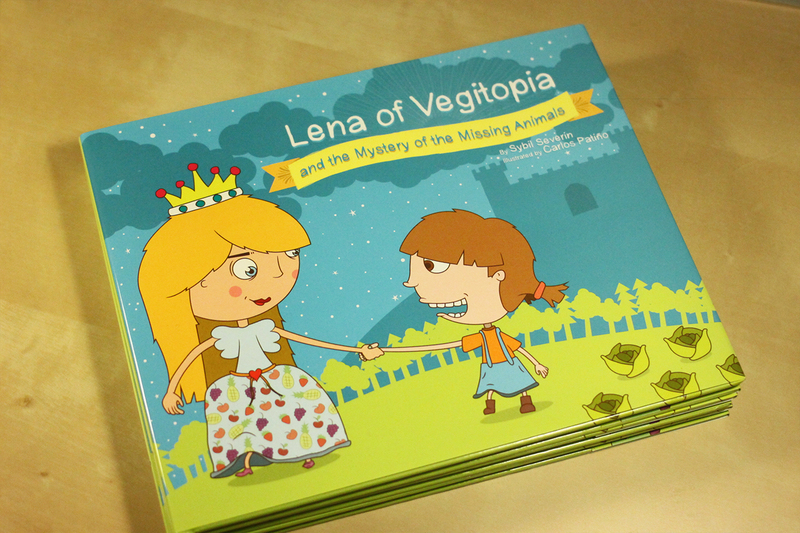 SS: I think Lena of Vegitopia has potential to become a fun series with endless possibilities, so yes I have given thought to writing more adventures for Lena and Princess Vegi-Terry-Anne! Can’t wait to read this book? Well- you don’t have to! Order your copy today!